Amazon will donate 0.5% of the price of your eligible AmazonSmile purchases to Moms Against Poverty whenever you shop on AmazonSmile. AmazonSmile is the same Amazon you know. Same products, same prices, same service. < a>Click here to support MAP by starting your shopping at smile.amazon.com. We’re excited to share with you a new way you can support MAP that doesn’t require you to spend any money or time! It’s an easy yet meaningful way you can show your support for the children. We’ve partnered with a service called Data Does Good, which enables supporters like you to donate a list of your past purchases from Amazon to raise $15 per year for charitable causes. Just as you can already donate things like clothes or food, you can now donate your Amazon shopping history. Your donation through Data Does Good will go towards supporting MAP’s mission. 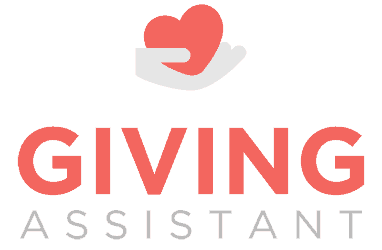 Giving Assistant is a free, easy, and reliable way to help Moms Against Poverty go even further. When you shop online at 1800+ popular online retailers using Giving Assistant, you earn cash back. Then, you get to decide how much of that cash back you’d like to donate to Moms Against Poverty. You’ll even find great deals like Bed Bath & Beyond Coupons, as well as savings at stores like Macy’s and JC Penney. Shop. Earn. Change the world! Join now to start donating 3-30% of every purchase to Moms Against Poverty while you shop online at places like Lowes, Macy’s, and eBay.